Clint Wade shows off the 10.84-pound lunker largemouth he caught on a V&M swim jig up at Toledo Bend on Jan. 12. When you’re in a tournament and the first fish of the day pushes 11 pounds, it’s probably a pretty good omen. 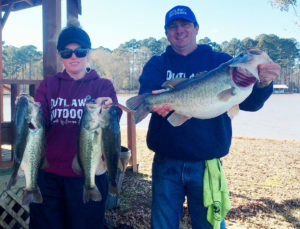 That’s exactly what happened to Clint Wade and his girlfriend, Stacy Spriggs, during a Couples Association of Sport Tournaments (CAST) event held Jan. 12 out of Holly Park Marina on the Texas side at Toledo Bend. 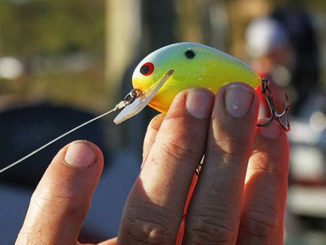 Wade and Spriggs launched out of Pendleton Harbor and were in the 12-15 area on a chilly morning with an air temperature of 45 degrees and a water temp in the low 50s when he felt a solid bite. 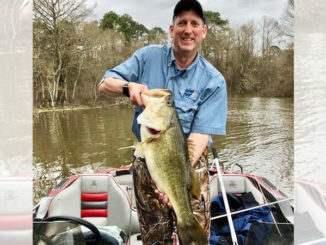 “I was sitting in a drain at 11 or 12 feet, throwing up to 7 or 8 feet with a citrus V&M swim jig, slow rolling it back bouncing it off the bottom,” said Wade, 43, of Huntsville, Texas, who was fishing with a Falcon Amistad rod and a Daiwa Tatula SV reel spooled with 15-pound Seaguar InvizX fluorocarbon. “I knew it was a big fish when I set the hook on her, but I didn’t know that she was that big. But Wade got a closer look at the bass as Stacy weighed it before putting it in the livewell. Clint Wade shows off his 10.84-pound largemouth, while girlfriend Stacy Spriggs holds up the rest of their five-fish stringer that won a CAST event with 22.95 pounds at Toledo Bend on Jan. 12. They continued fishing with the lunker comfortably in the livewell, and caught six more fish before lunchtime, mostly on a chartreuse-and-white ¾-ounce Stanley spinnerbait. 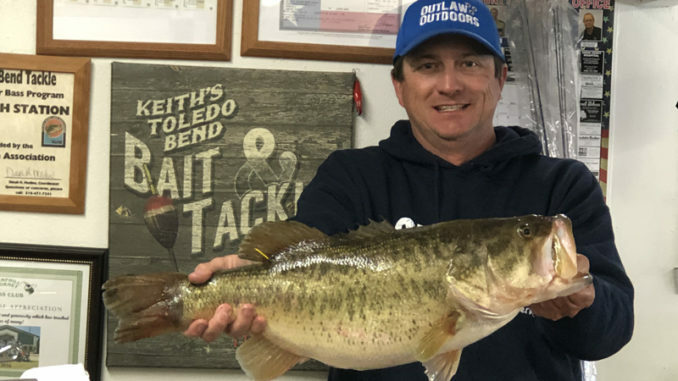 The big bass was weighed-in at Keith’s Toledo Bend Tackle, where it tipped certified scales at 10.84 pounds, with a length of 25 ¼ inches and a girth of 19 inches. 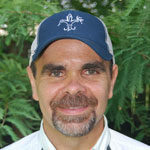 Wade’s fish was the 17th 10-pound-plus bass entered this season into the Toledo Bend Lunker Bass Program, which awards anglers a complimentary mount for returning big fish back to Toledo Bend waters alive. It was Wade’s biggest bass ever, and second Lunker Program entry: He caught a 10.32-pounder on Jan. 5, 2014. 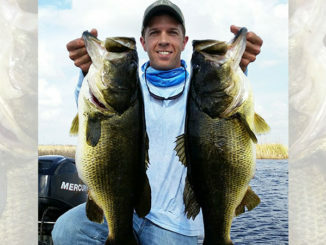 The lunker easily won Big Bass for the tournament, and propelled the team of Wade and Spriggs to first place in the CAST event, with a five-fish stringer that tipped the scales at 22.95 pounds. It might not have been the most exciting battle with a fish he’s ever had, but he’ll take it.